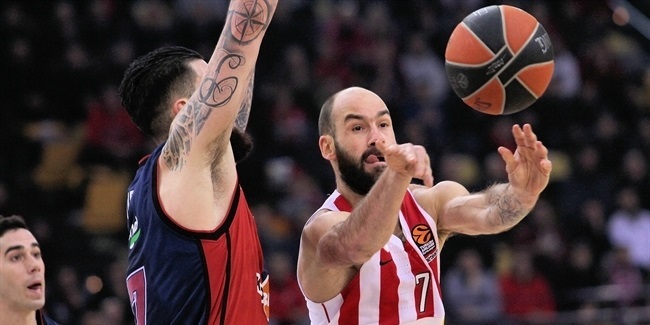 We won six of our last eight EuroLeague games and come off an important win against Khimki. We had a tough schedule, as we had to play five games in nine days between the Greek League and the EuroLeague, so we wanted to be focused. Every game is important for us. Everyone can see how interesting the EuroLeague Regular Season is this year. It is very competitive and all teams are really dangerous. We have to try to win as many games as possible, especially at home, and give 100 percent every night. We did a good defensive job against Khimki. We managed to limit Khimki's offense and played well overall, especially in the second half. That was the key and that is our trademark – defense! We want to be known for playing hard, effective defense. We know that defense is the most important part of the game. We want to play hard and limit our opponents. "We want to be known for playing hard, effective defense." I had a good game against Khimki, too, but the team won and that is what matters most. I always try to be ready to help the team, but it can be one day me and a different player some other day. I like to play with Nikola Milutinov, we understand each other really well. I feel comfortable with everyone on the court, which is really important to help the team win. If we win, everybody is happy, and that is what's most important. Everybody has to do his part, whether it's scoring, rebounds, passing the ball or playing defense. Everybody has to know his role and win games. As for Milutinov, he didn't play the double week and other guys stepped up, like 'Bogrinho', who really helped the team. When Nikola is playing, the whole team structure changes. 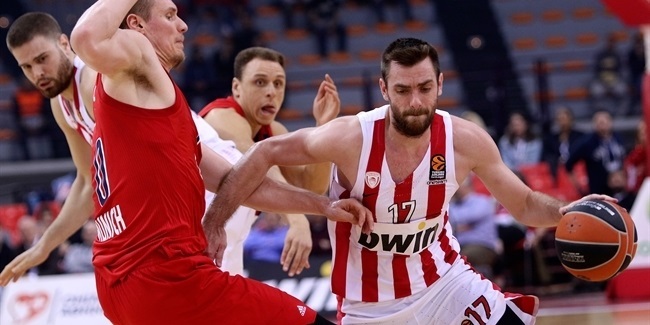 He is really amazing this year and, in my opinion, the top center in the EuroLeague right now. He is helping the team in any way he can; it is a privilege for us to have such a player, but again, it is a team effort. It would not be fair to mention just one guy. All players know their role and try to do their part, which is basic for the team to succeed. I mentioned 'Bogrinho' who is, of course, Georgios Bogris. 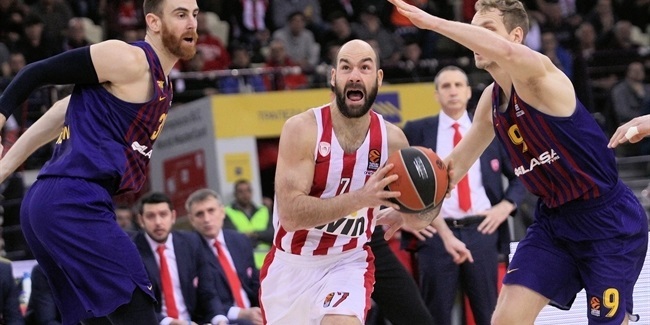 He has a lot of nicknames, not just 'Bogrinho', but also 'Sabogris' (when he makes a good pass, like Arvydas Sabonis) and 'Bogritzki' (when he hits a fallaway shot, like Dirk Nowitzki). He can dress in different costumes every night! He has so many nicknames, it is tough to use just one. He also uses 'La Bogrita' when he takes a floater, but his basic nickname is 'Bogrinho'. That is his Twitter and Instagram name, too. He likes to play with words! He is really important for us because he is always there, ready to step up when the team needs him. There are 12 players ready to help the team and some of them will not play every game, but the most important thing is that everybody is ready to play. One of the games we played recently was my first Greek Derby at home, and the atmosphere was amazing. It is a different game for our fans, of course. They help us a lot every night, but that night was really different because the rivalry is so good. I really enjoyed it, and the good part is that we won the game, but this is history now. We have to focus on the next game, against the best team in the competition right now, Fenerbahce. We will play against three of the best teams – Fenerbahce, Maccabi and Efes – all on the road in the next month. We have to go game by game; that is our motto. Fenerbahce is a great team, first in the competition, with just two losses and many good players who have been together for a while, like Sloukas, Vesely, Datome, Kalinic.. not to mention a great coach like Zeljko Obradovic. If you want to win there, you have to do a lot of things right. No team has beaten Fenerbahce on their home court, either. Their fans can create a great atmosphere. They will be waiting for us and we have to be ready for that. "When a gym is full, the spirit and the power of the game are different." Like I said, this is an amazing season in the EuroLeague. From the fourth up to the 12th spot, everyone is fighting hard to make it to the playoffs. All teams have chances and everybody battles hard. Every win counts, especially on the road. Protecting your home court is mandatory. We are playing basketball in full arenas with great atmospheres. When a gym is full, the spirit and the power of the game are different. It is really nice. It is better to play in front of a tough atmosphere than in an empty arena. All fans are willing to support their teams and this is really great for the competition. As a player, you have to be ready at all times. I feel great right now, even when it is a little bit cold in Athens. The team is winning and everything is in the right place. Every player is ready for the next opportunity. Coach Blatt and his team are trying to keep us all in the right rhythm. We know it is a critical time for everybody but only those who focus on the next game and keep winning will be in a good situation at the end of the regular season. The next game is always the most important one. It is the only way to be successful.